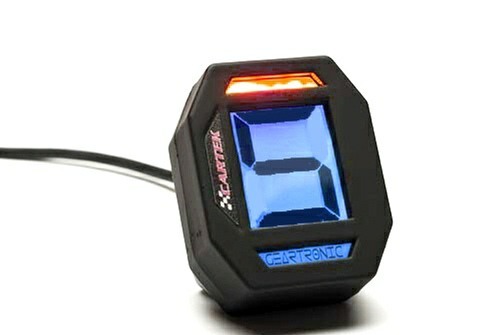 The Digital Gear Indicator from CARTEK indicates which gear has been selected. This fully integrated device is designed to be mounted onto the dashboard and requires connection to a RPM/tacho signal and a road-speed signal (Km/h). This device will work with all gearbox types including sequential and H pattern and is suitable for cars, bikes and karts. The colour of the back lighting can also be selected. 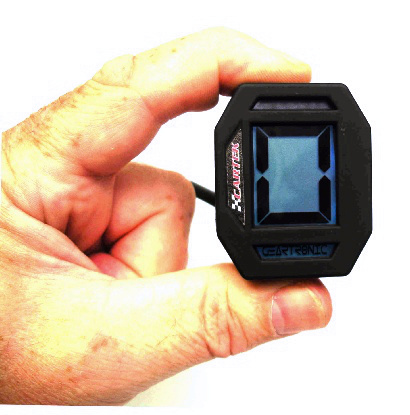 The GEAR INDICATOR displays the selected gear by performing a comparison of the engine speed and the road speed. Gears from 1 – 7 can be displayed as well as a 5 sequence shift light. The colour of the back lighting can also be selected. The GEAR INDICATOR is completely automatic, it is only necessary to carry out the following set-up procedure during installation. 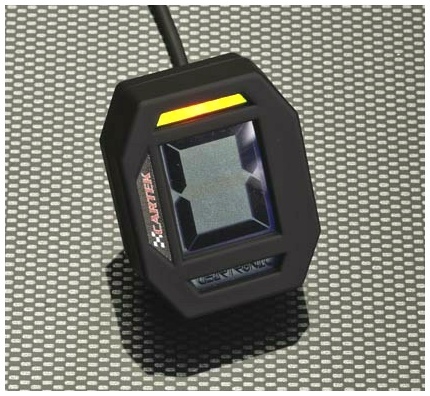 There are 3 functions to set-up 1-Sequential shift light, 2-Backlight colour, 3-Gear indicator. The Shift Lights are set up by raising the revs to the starting point of the sequence, and raising the revs to the highest point of the sequence. The Gear Indicator will store both values and calculate the in between sequence automatically. The Gear Position is set up by driving the wheels of the vehicle at a constant speed and changing gear when the display tells you so. Once the setup is complete the Gear Indicator will compare the values of the rpm and road speed. From that it will show which Gear you are in. 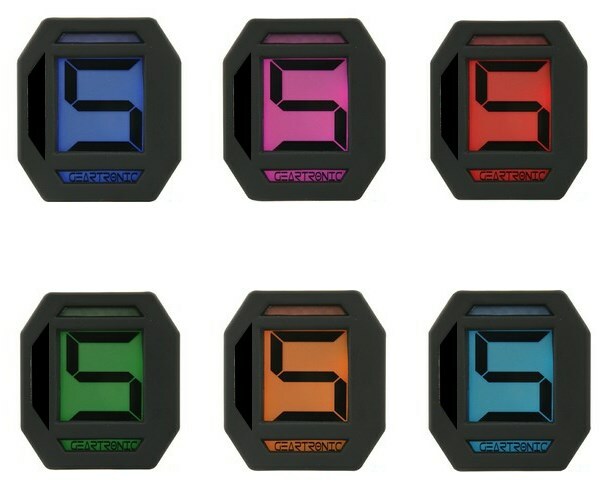 The GEAR INDICATOR has a number of different backlit colours available – Blue, Light Blue, Violet, Red, Orange and Green. These can be changed in the Set Up procedure. Many aftermarket car accessories such as Gear Shift Lights, Tachometers or Digital Gear Displays require connection to electrical signals which are often not available on modern cars. The CAN-Bus Signal Converter from CARTEK simply plugs into the OBD (On Board Diagnostic) socket found on most modern cars and provides four useful signals by extracting and converting engine data from the car’s CAN-Bus network. Locate the car’s OBD2 socket which will be within 60cm (2ft) of the steering wheel. Insert the CAN-Bus Signal Converter then start the engine. If this is the first time the CAN-Bus Signal Converter has been installed then it may take a short while for it to interrogate the car’s CAN-Bus network and synchronize to the correct protocol. This will be indicated by a Red LED. Once the correct protocol has been determined then engine data will be extracted from the CAN-Bus network and converted into output signals. This will be indicated by a flashing Green LED. This is a 12v square wave signal where the frequency increases with road speed. The output frequency is approximately 2500 pulses per kilometer (1570 pulses per mile).